As America’s largest professional trade association, the NATIONAL ASSOCIATION OF REALTORS® actively protects the interests of its nearly 1 million members daily. 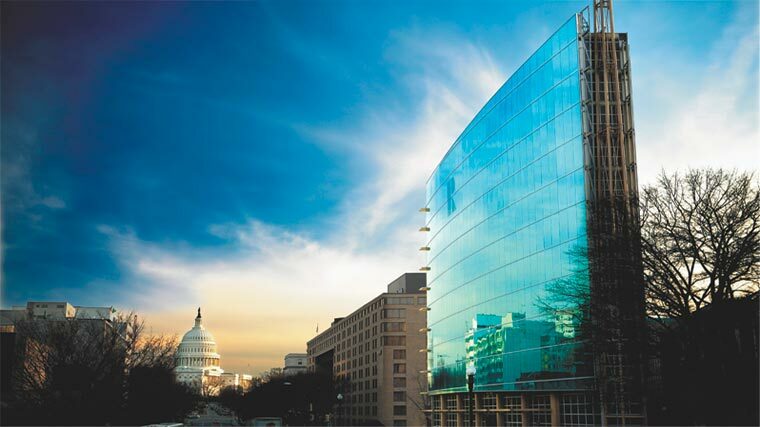 From its building located steps away from the United States Capitol, NAR advocates for federal policy initiatives that strengthen the ability of Americans to own, buy and sell real property. The National Association of REALTORS® (NAR) represents over one million residential REALTORS® and commercial practitioners involved in all facets of the industry as brokers, sales agents, property managers, appraisers and counselors. As the largest professional trade association in the United States, NAR advocates policy initiatives that promote and protect a fundamentally sound and dynamic U.S. real estate market fostering vibrant communities. Learn about key issues, NAR’s position, and how they affect REALTORS®, home buyers, and private property owners by browsing all advocacy issues. Bills and Regulations: NAR tracks hundreds of legislative and regulatory proposals every day. Find out where these proposals stand. Congressional Testimony: NAR provides expert testimony to committees in both the House of Representatives and the United States Senate. Letters to Congress: NAR’s President sends letters to lawmakers stating the association’s position on certain issues. Letters to Federal Agencies: NAR’s President sends letters to agencies that regulate some part of the real estate transaction. Read weekly Washington Report articles recapping NAR’s activity on the hill.